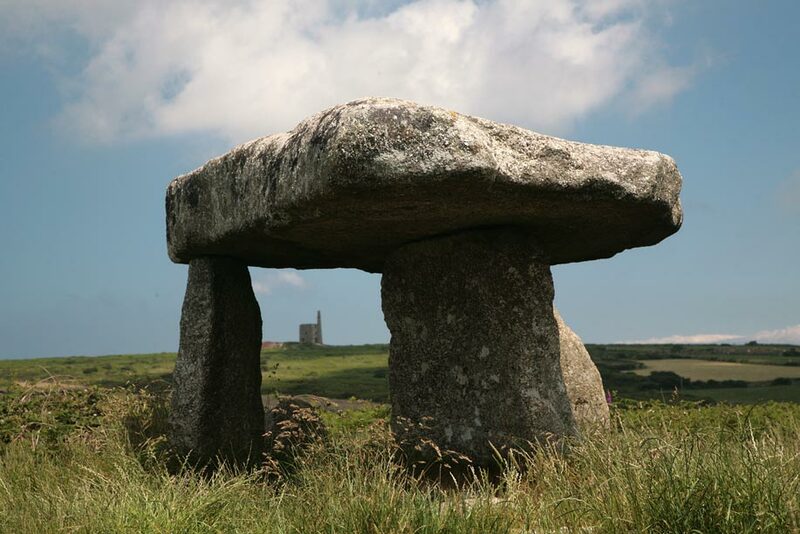 Cornwall has been inhabited from the early Stone Age 20,000 years ago and the ancient Cornish were particularly productive when it came to building monuments. 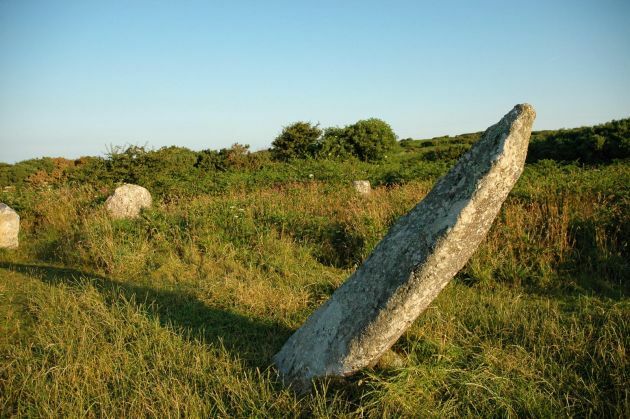 The countryside, particularly West Cornwall and Bodmin Moor, is littered with menhirs, stones circles, quoits, fougos, wells and forts. 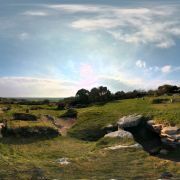 The majority of these sites date back to the Bronze Age and are thought to have played a part in burial rites. 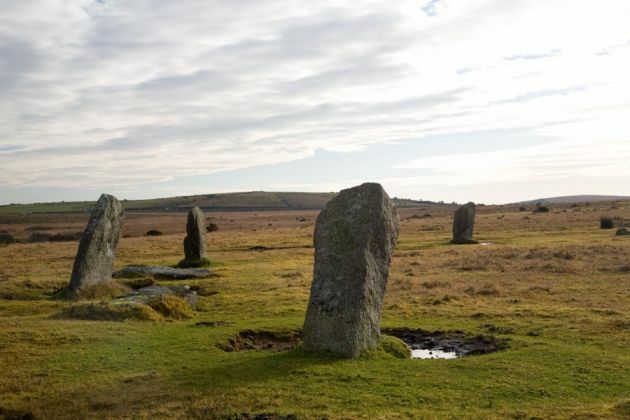 Others, particularly stone circles are believed to have been used for astronomy. Whatever their role we have collected some of the best known and outstanding examples of these ancient monuments in this best of Cornwall list. 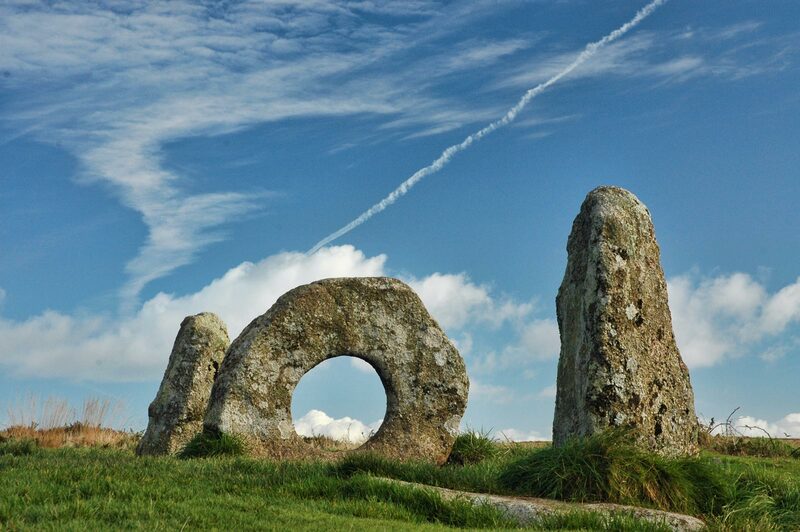 Perhaps the most easily identifiable of all Cornwall’s ancient monuments. 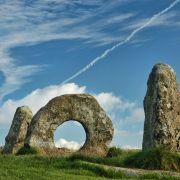 Men-an-Tol consists of four stones; two straight upright pillars either side of a holed stone and a further fallen pillar close by. It is the holed stone that is of most interest as these are very unusual. 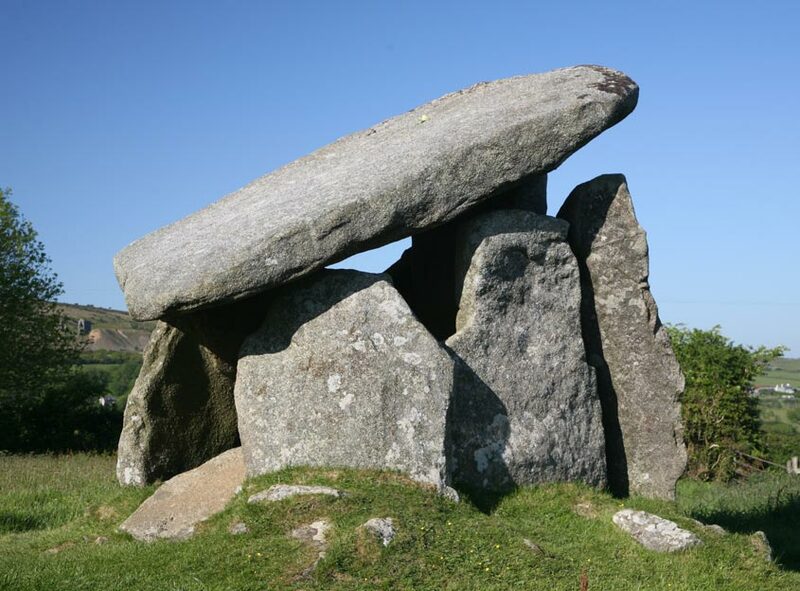 Dating back to the early Neolithic period its use is unclear, however, it is thought unlikely that the present arrangement of the stones is original. 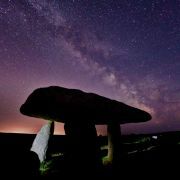 The iconic dolmen of Lanyon Quoit dates back to around 3000 years BC. Whilst it’s exact use is uncertain archaeologists are confident it played some part in Stone Age death rites. Possibly a burial chamber it may originally have been covered in earth to form a hollow mound. 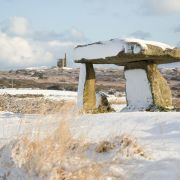 The monument had to be rebuilt in 1815 after a lightning strike dislodged the huge capstone. The incident also broke one of the supporting legs leading the present day three legged arrangement. 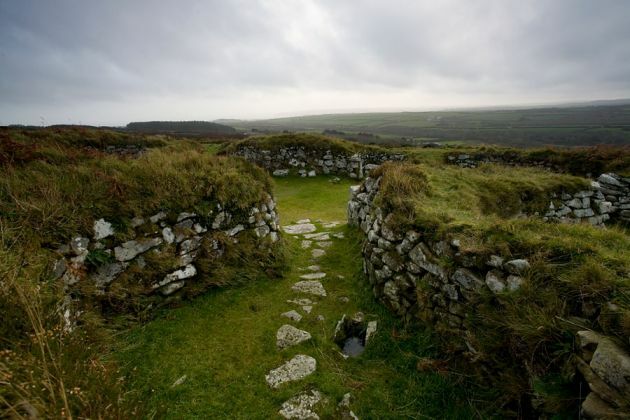 Set in the remains of the Iron Age village of Carn Euny is this impressive underground chamber or fogou. 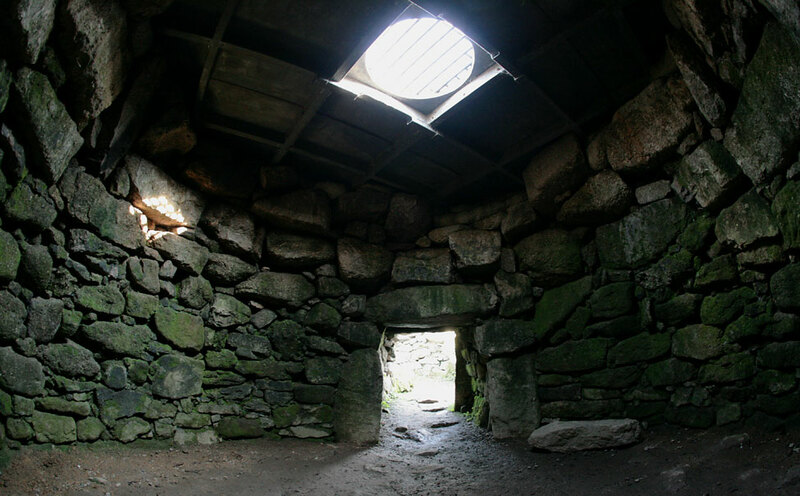 Roofed with massive stone slabs the fogou consists of a corridor with a circular chamber to one side. Little is known about the use of these underground chambers but the level of engineering required to build them suggest they were of great importance. 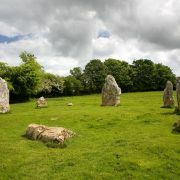 Whilst smaller in circumference than most stone circles the stones that make up Duloe are unusually large. The stones are also fairly unique in their composition, rich in quartz giving them a white colouring. Possibly the oldest village street in England, Chysauster consists of the remains of eight stone dwellings. The courtyard houses are thought to have been home to members of the Dumonii tribe around 2,000 years ago. Originally the houses would have had thatched roofs but the condition of many of the remaining walls is quite impressive. Located a stone’s throw(!) 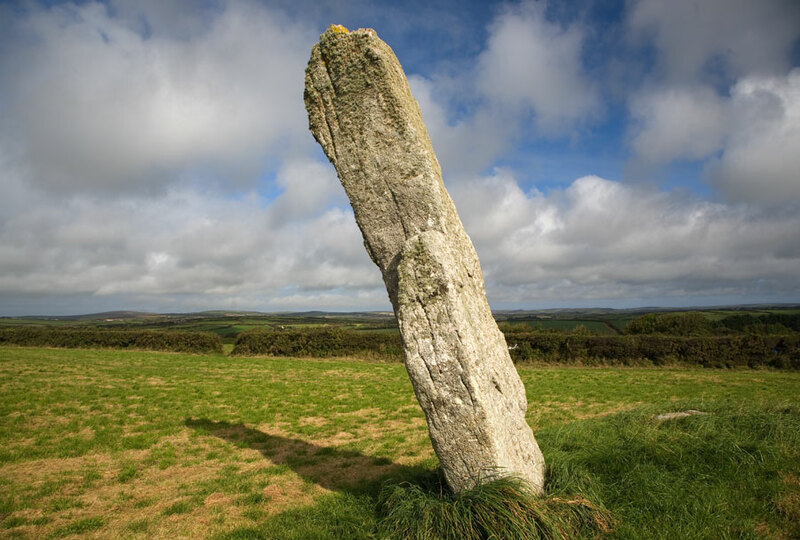 from the Merry Maidens stone circle these two menhirs are the tallest in Cornwall standing at 15ft (4.6m) and 13ft (4.1m) tall. The story is much the same as that of the Maiden’s, they were the pipers turned to stone for daring to play music on the Sabbath. The Bronze age stone circle at Boscawen-Un near St Buryan is fairly typical of other sites, e.g. the nearby Merry Maidens. However, what makes the site unique is the existence of a sloping 2 metre tall centre stone. 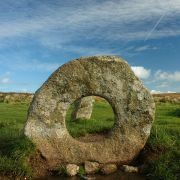 This is thought to predate the surrounding stone circle. The Trippet stones are a true stone circle in the sense that they form a perfect circle -apparently this is an uncommon quality in stone circles! 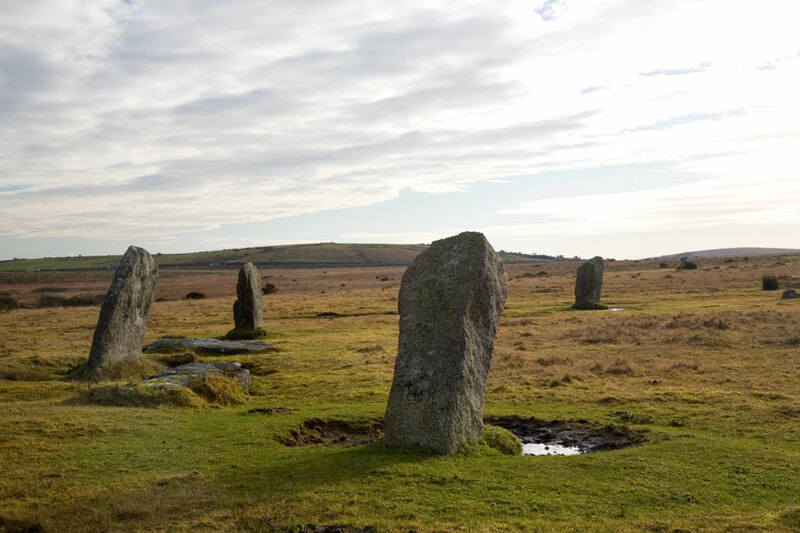 The stones occupy a fairly remote location on Bodmin Moor and it is as much the setting as the stones themselves which make this site worth a visit. 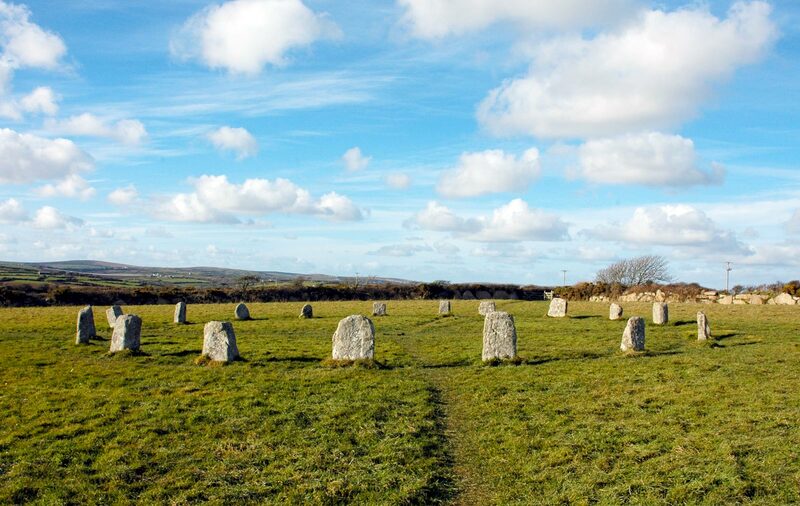 The Merry Maidens of Boleigh are one of Cornwall’s best known stone circles. It consists of a near perfect circle of 19 unusually regularly spaced stones. The name comes from the story that the circle was a group of young girls turned to stone as punishment for dancing on the Sabbath.